Introducing the Lava Mala Collection! There’s something so rewarding about unveiling a new collection, probably because there’s so much work that goes into launching a new line of products. And that was definitely the case with our newest collection, Lava Mala. 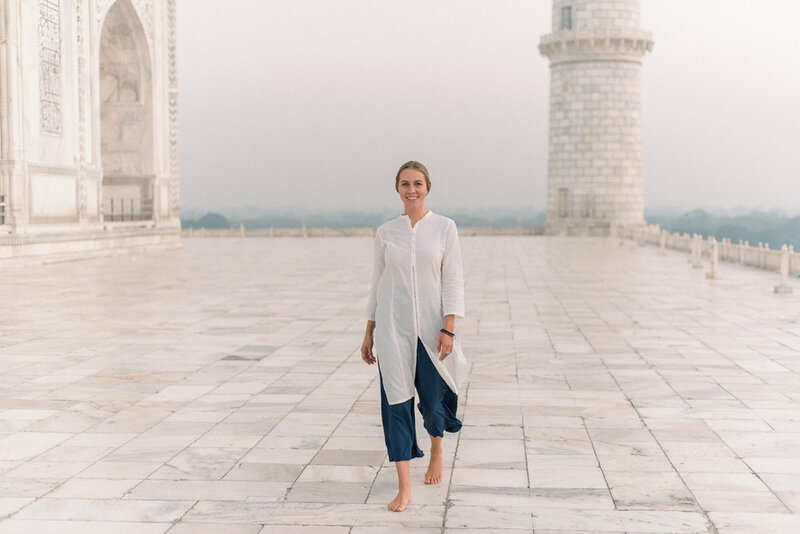 In my travels over the past few years, I had come across a number of diffuser jewelry brands and options on the market, and I loved the idea of creating a line of aromatherapy intention jewelry for Mala and Mantra—especially because I knew I could do it with the highest-quality materials and a beautiful design. The only issue? I wanted to include an aromatherapy oil with the bracelet (rather than making our customers go out and buy one on their own), but I didn’t know the first thing about making or producing essential oils. That’s where our good friends at Body Bliss come in. 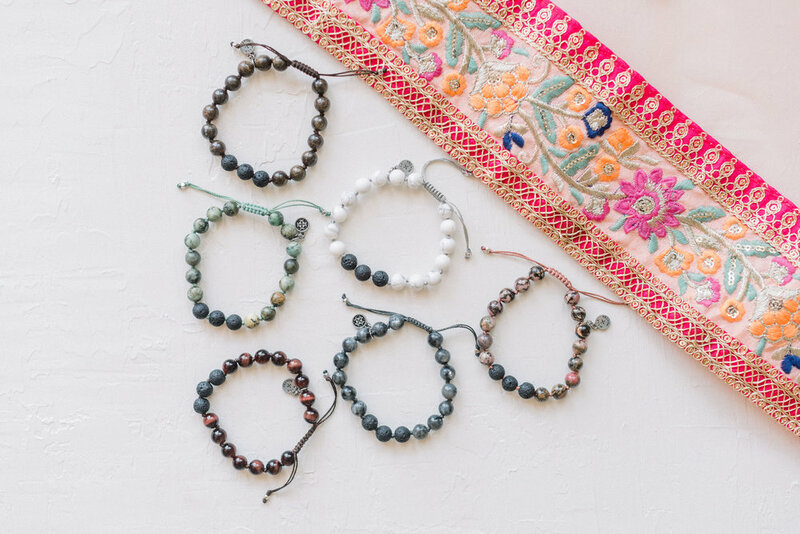 We partnered with the leading aromatherapy oil maker to select six essential oil blends that would match each of the handcrafted bracelets in our Lava Mala collection. I’m absolutely thrilled with the results, and I think you will be, too! Each blend perfectly harmonizes with the holistic properties + energies of the six semi-precious gemstones we use in this collection (more on those below!). And since it’s all packaged together in a Mala and Mantra logo box, it makes a perfect present for the holidays (even if that present is just for yourself!). From left to right: White Howlite, Rhodonite, Larvakite, Red Tiger’s Eye, African Turquoise + Bronzite. 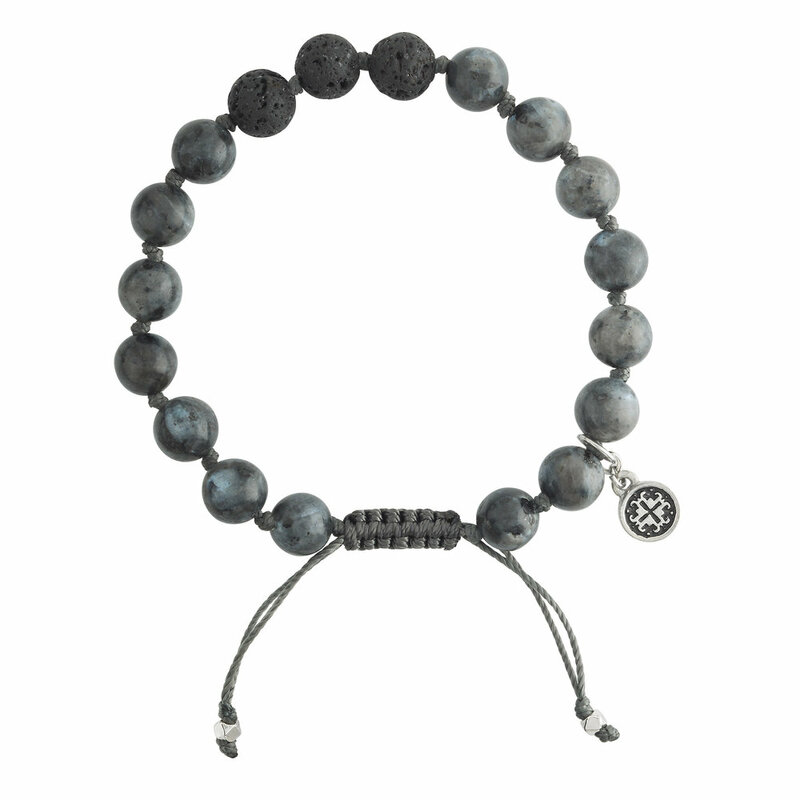 Black Lava Stone is a strengthening and calming stone made of porous volcanic rock, which allows it to easily diffuse aromatherapy. Apply one drop of the essential oil blend directly to each of the lava rock beads, which will absorb the oil and diffuse a healing aromatherapy scent for up to 24 hours. African Turquoise is known to promote expression, and helps you remain authentic and true to yourself. This hand-knotted, unisex bracelet is paired with a Turquoise Sage essential oil blend, which features notes of lavender, spearmint and rosewood to relax your body, brighten your mood and soothe stress. Bronzite is known to promote courage and keep you grounded. This hand-knotted, unisex bracelet is paired with an Ocean Dew essential oil blend, which features notes of thyme oil, juniper, grapefruit and lemon to improve concentration, purify your energy, lift your mood and restore your body. Larvakite is known to keep you balanced and protected. This hand-knotted, unisex bracelet is paired with a Mood Melt essential oil blend, which features notes of sweet orange, tangerine, ylang ylang and jasmine to comfort you emotionally, reduce tension, calm the nervous system and restore your energy. 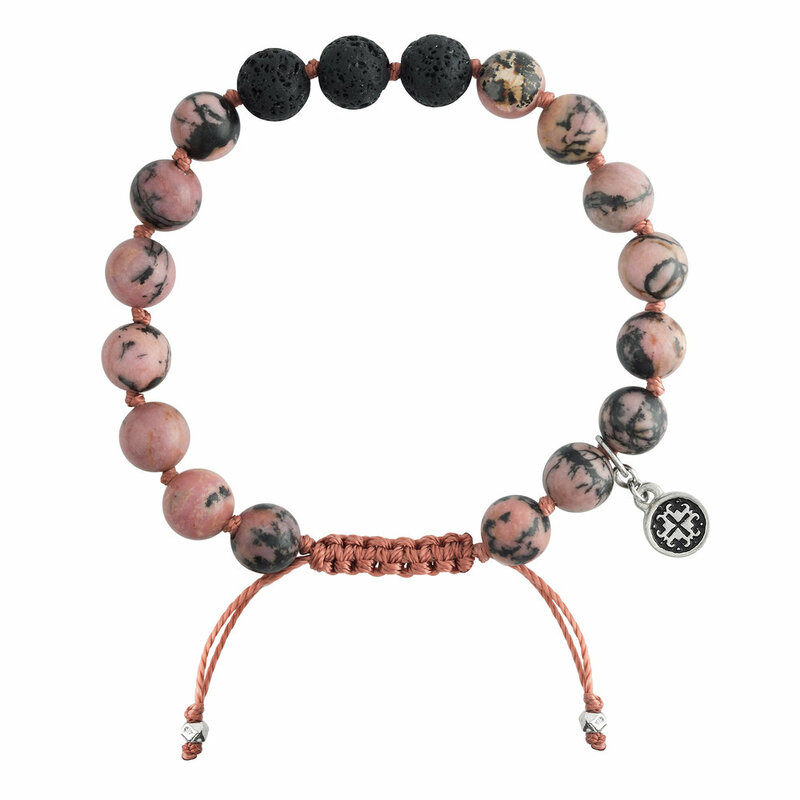 Red Tiger’s Eye is known to promote confidence and give you a more positive outlook on life. This hand-knotted, unisex bracelet is paired with an Inspire essential oil blend, which features notes of geranium, black pepper, jasmine and ylang ylang to keep you balanced and calm, reduce joint and muscle pain, restore your energy, and calm the nervous system. Rhodonite is known to promote love and humanity, and to enhance your sense of compassion toward yourself and others. 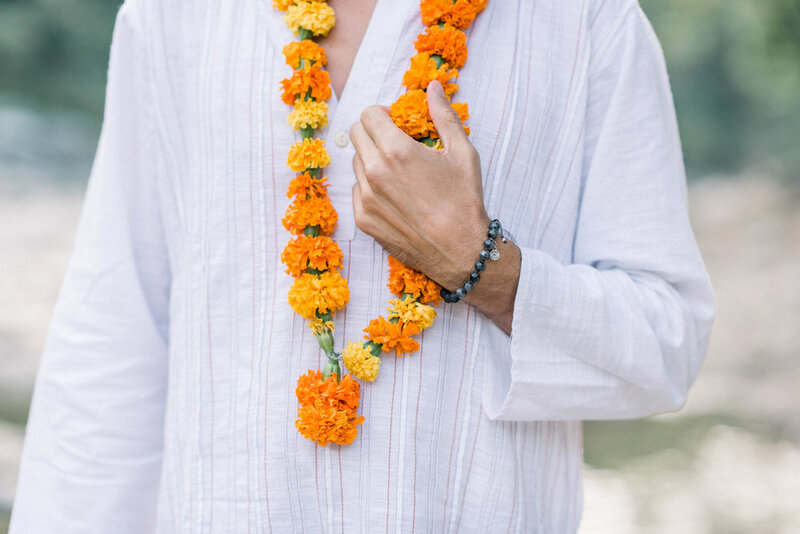 This hand-knotted, unisex bracelet is paired with an I Love essential oil blend, which features notes of amber, neroli, vanilla, sandalwood and cajeput to keep you grounded, relax the body, release stress and tension, and ease joint and muscle pain. 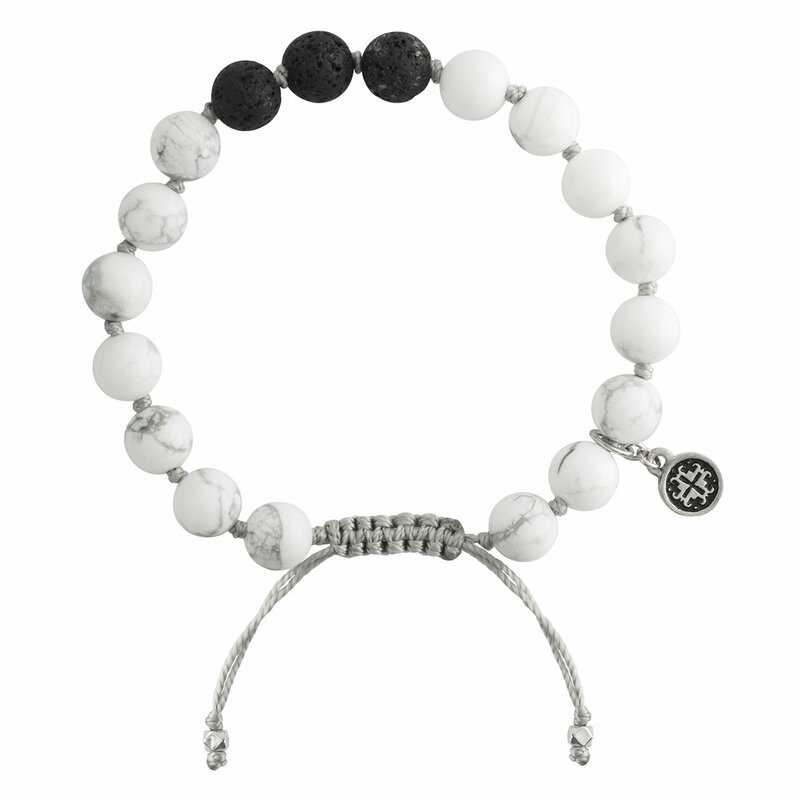 White Howlite is known to promote patience and provide a sense of calm. 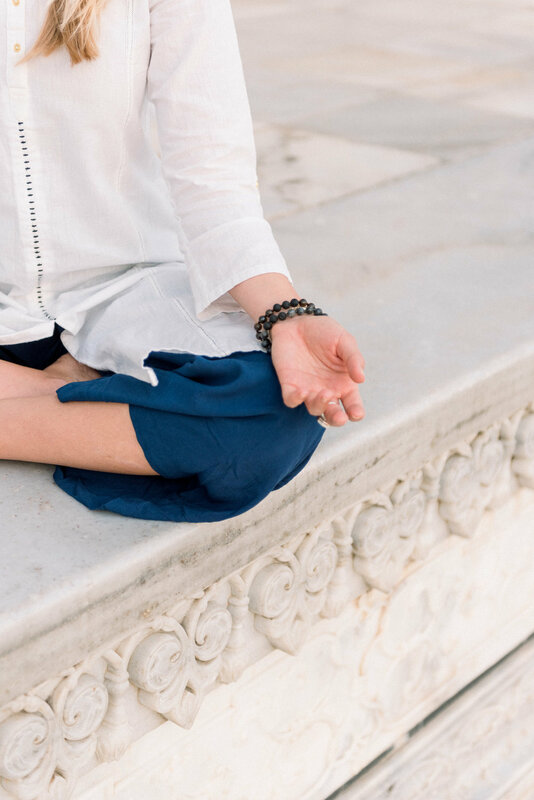 This hand-knotted, unisex bracelet is paired with a Body Rescue essential oil blend, which features notes of rosemary, sweet marjoram, peppermint and vetiver to boost your energy levels, promote calm and restful sleep, relieve tension, and bring you back to your center. Each bracelet and oil kit is only $72, and is very limited—so make sure to shop your favorites ASAP! I hope you love this collection as much as we enjoyed making it for you.